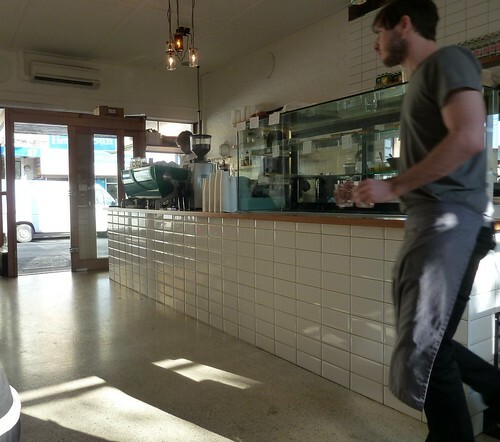 As we sat at Wee Jeanie, Yarraville village's newest cafe, there was a feeling of deja vu. On the next table, diners attacked sourdough bread topped with chubby avocado halves and a creamy rocket salad. Bryan ordered baked eggs with eggplant kasundi. "Hold on a minute..." I thought. "These guys are ripping off Cornershop!" My outrage was misplaced, however - Wee Jeanie is owned and run by the team behind Cornershop. Does this satellite stack up to the mothership, however? 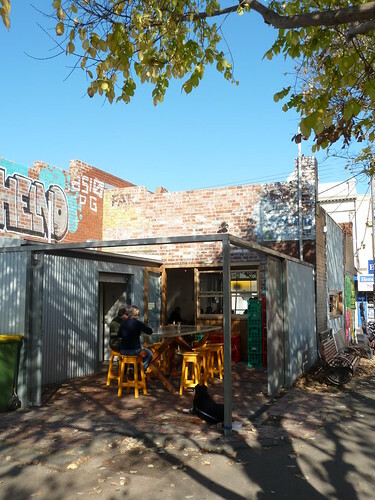 Wee Jeanie has taken over the premises of the old record shop in Yarraville village, opening up their back courtyard. It's quite lovely to wander along the cobblestones alongside the quaint old station as the autumn leaves fall, before slipping into Wee Jeanie via the back door. 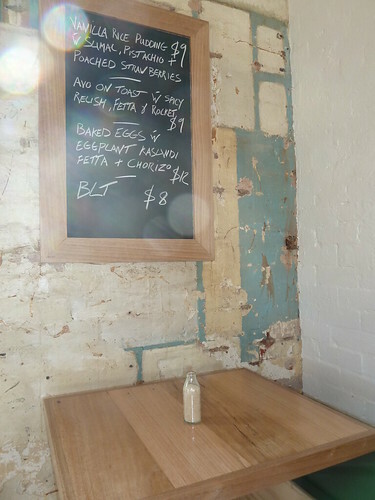 Inside it's classic Melbourne cafe chic - lightly-varnished wood, raw and whitewashed brickwork, creative light fittings (these ones made of preserving jars). It's a small space that the minimalist chic makes feel much bigger, with the kitchen behind the counter, a bench seat along one wall and tables facing it. It must be said, we waited a long time to order and eventually went to the counter. (Bryan had been there for longer than me so it wasn't a case of my sneaking in the back made the staff not notice.) Coffees took a very long time and only arrived just before our meal. 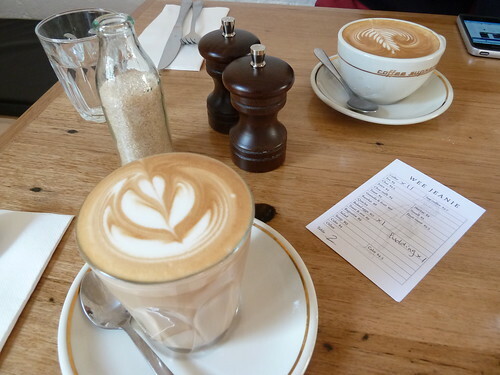 This is in contrast to the snappy service at Cornershop and indeed, most of Melbourne's better cafes, where immediately upon sitting and being given a menu one is asked, "A coffee first?" Made with chocolatey Coffee Supreme beans, a latte here was quite mild in flavour, good but not outstanding. This was just gorgeous. I loved the duck egg blue bowl which made scooping spoonfuls of this lovely porridge feel like a little meditation. The rice was soft, creamy and not at all mushy. Sumac was an ingenious element which gave it citrus tang, while crushed pistachios created textural variation. The strawberries were just heavenly, plump and juicy. Bryan's eggs were pretty good. The eggplant "kasundi" (a type of relish, apparently) was very heavily seasoned with cumin, perhaps too much so. I thought the eggs were overdone - the yolks were not runny. 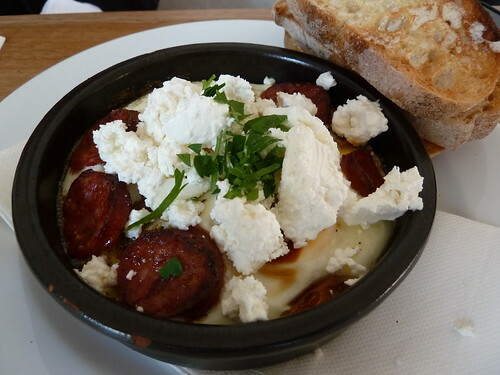 However, the feta was creamy and of good quality. Wee Jeanie have just opened so they will undoubtedly take a while to find their groove. I don't know why they are doing identical dishes as those at Cornershop. Would it not be better to mix things up so that they are two unique places rather than just Cornershop Lite? Nevertheless, Wee Jeanie seems a good option for locals unable to find a seat at Cornershop bound for Planet Brunch. cute looking place, very Melbourne indeed! i've heard some rumblings about it, and appreciate your honest review. Totally agree. I was disappointed... To me it should focus on coffee and pastry or cakes or something. The meals are marginal and too similar to CS. 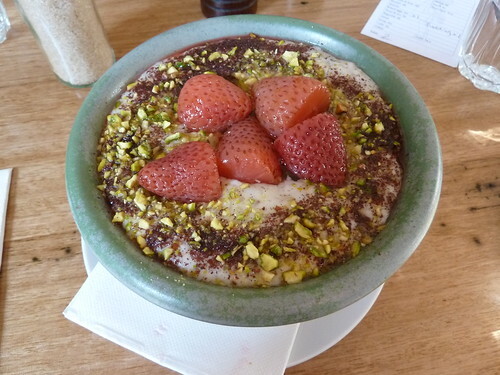 The rice pudding does look tempting but I do need good coffee especially on a weekend. I had the eggplant kasundi here as well - only because it's my fav dish at The Cornershop. We went here after trying unsuccessfully to get a table at Cornershop. We also experienced terrible service and it took way too long for the slightly above average food to arrive. Very disappointing! I found the service to be slow and a bit grumpy both times I've been there. It is lovely sitting out in the courtyard though, so hopefully this improves as I'd like to go back. 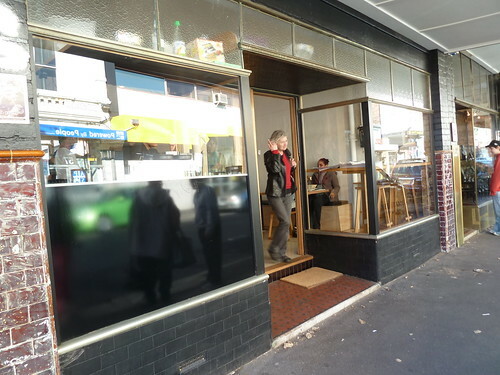 I had the avocado toast which was tasty, but then there's lots of places around that do tasty food, so for me I would probably go to Luca House in Seddon over Wee Jeanie for their toast with avocado, or even better, their toast with mushrooms. Yummo. That's no good to hear, anon! Yarraville is a bit far for me so I don't go to Wee Jeanie all that regularly, but it is one of my picks when I do find myself in the village. I'll have to try Luca House out; still not been!